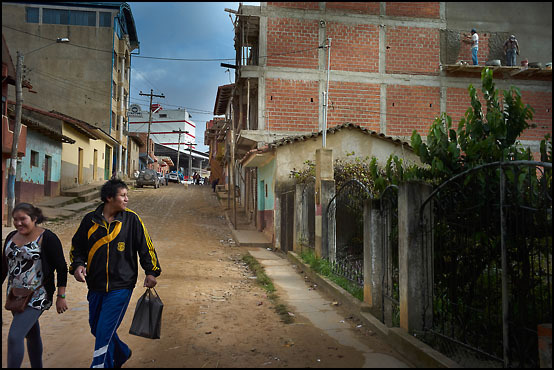 Ulrik Bang was another participant of the Bolivia workshop earlier this spring. The pictures he took during the workshop show a delicate understanding of composition, often capturing off-moments with an unusual point of view. He has a quiet and unobtrusive style, the observer and the patient bystander more than the intruding photographer. 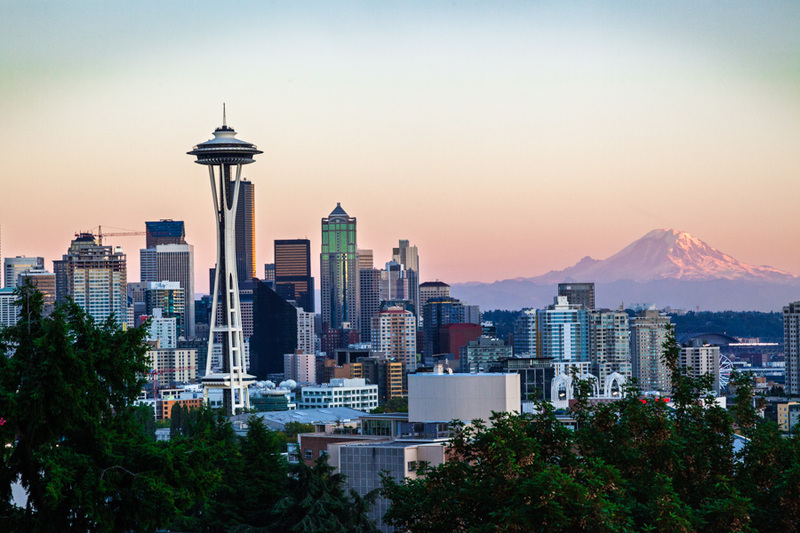 Ulrik sees the world with a compassionate vision and gentle approach. His palette is mostly built around muted and earthly colours. 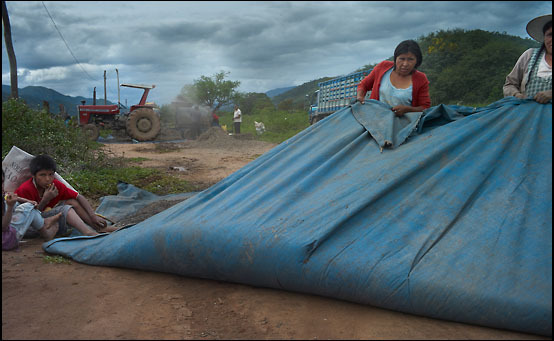 If you want to see more of Ulrik’s pictures from Bolivia, you can look up the book Bolivia 2013 which showcases the work of all the participants. All the images are available on preview, but it’s also possible to buy the book. Children are the same all over the world. They love to play, they are curious, they are eager to learn. That is until reality of the grown-up world catches up with them. 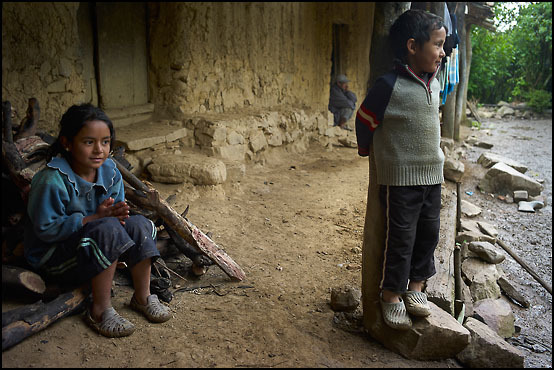 It doesn’t matter if you are living in a rich country or in a poor country as for instance Bolivia. 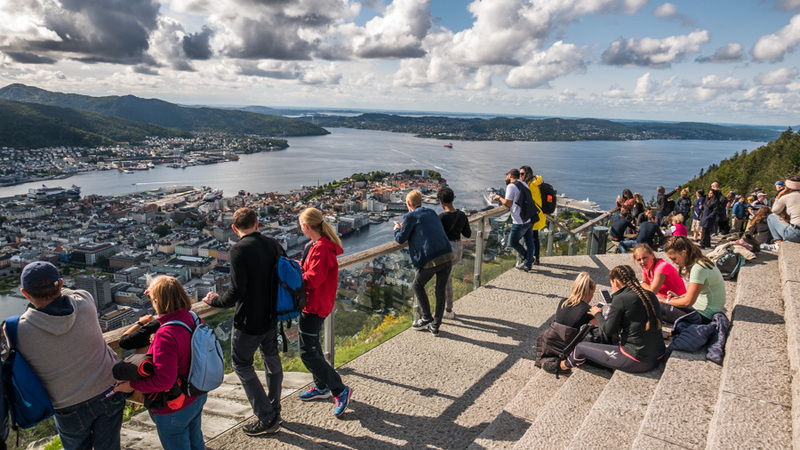 That spontaneity and playfulness belonging to the childhood, too often gets lost when growing up – taking different course then whether you have access to everything or to nothing. 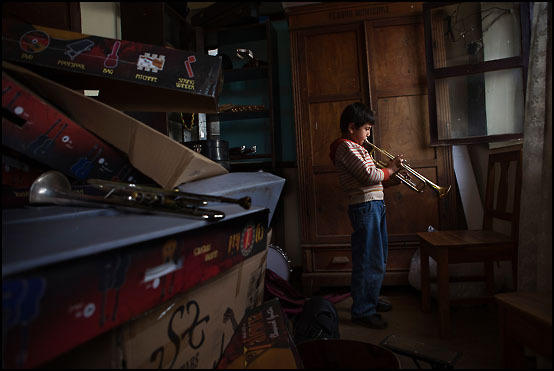 During the Bolivian Photo Workshop that Blue Hour Photo Workshops taught earlier this year Maj Caboni, one of the participants, captured that childhood spirit in a lovingly and close way. 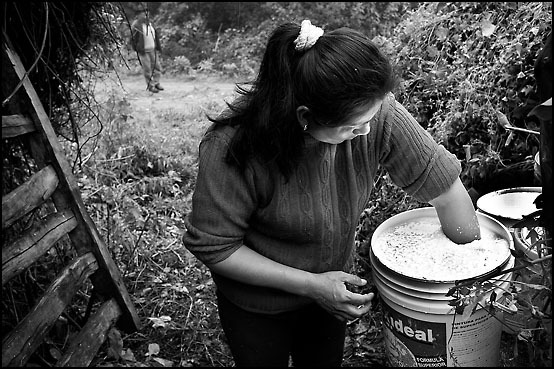 She soaked out children wherever we stayed, in Samaipata, Vallegrande or La Higuera, and returned with some strong black and white images. It was as much a personal tie for her as a story she wanted to tell through her pictures. If you want to see more of Maj’s pictures from Bolivia, you can look up the book Bolivia 2013 which showcases the work of all the participants. All the images are available on preview, but it’s also possible to buy the book. 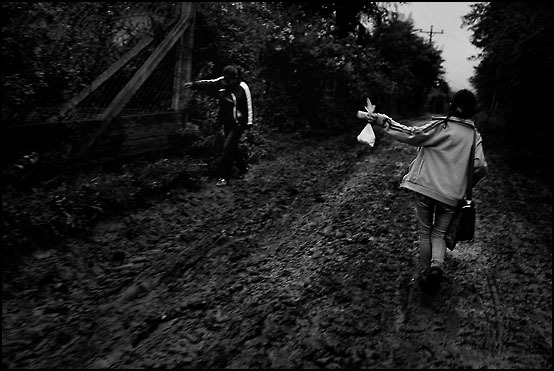 Klaus Holsting pictures capture the small moments of life. He waits for all the compositional elements and the flow of action however subtle it might be, to line up in the tradition of Cartier-Bresson’s decisive moment. Still his expression is all his own. During the Bolivian workshop in April earlier this year, he worked exclusively in colour, went about in his unobtrusive way and mingled with the locals whether in a bar, on a market or at the homes of the people living in the villages we visited during the workshop. And waited for those small moments to occur. His pictures speaks with a gentle voice, are often moody and dark, and come across with a profound insight to the lives he captures. 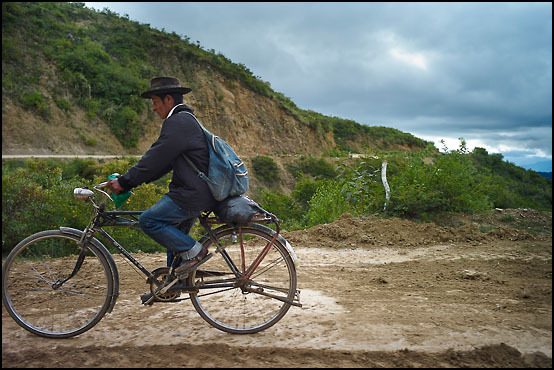 If you want to see more of Klaus’s pictures from Bolivia, you can look up the book Bolivia 2013 which showcases the work of all the participants. All the images are available on preview, but it’s also possible to buy the book. Du you want to do a photo workshop in Bolivia. 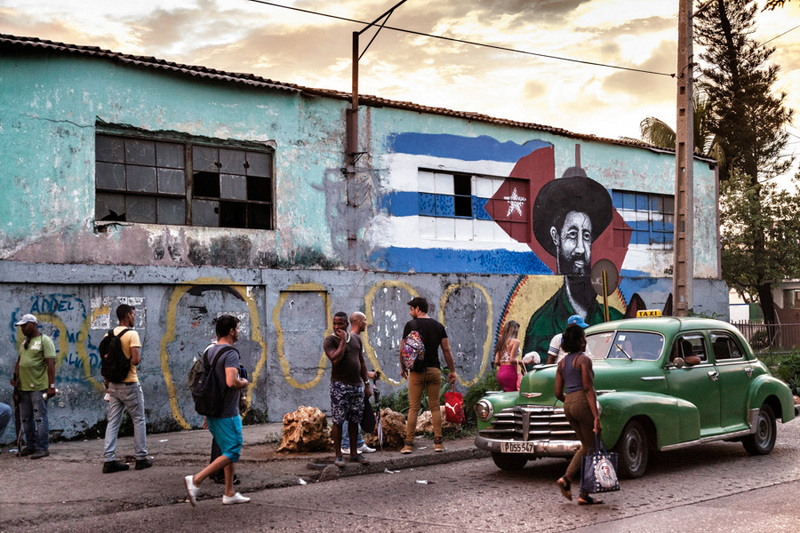 Then next «On the Tracks of Che Guevara» will take place this autumn, from October 7th to 14th. MORE INFO. 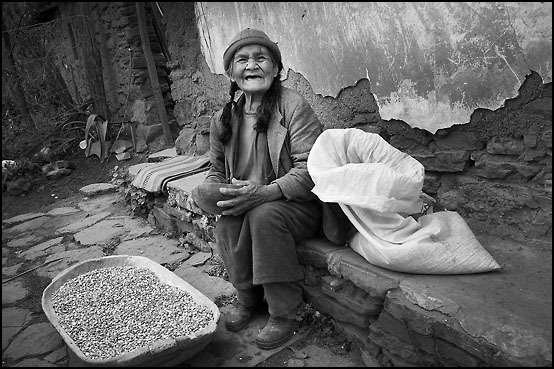 Anita Corpas was another photographer working in black and white during the Bolivian photo workshop in April. 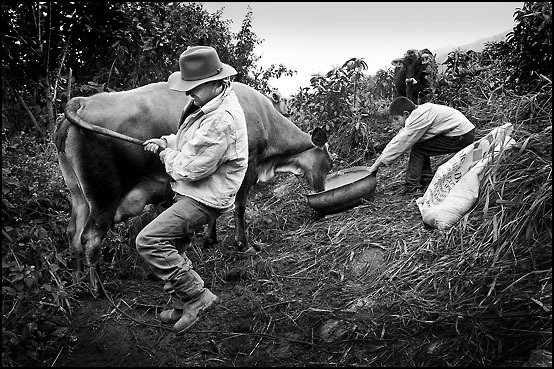 Her pictures of rural farmers portrait their simple life in beautiful and strong compositions, in captured moments that shows not only the hardship of farm life in Eastern Bolivia but also the farmers’ zest for life; and radiates hope and strength. 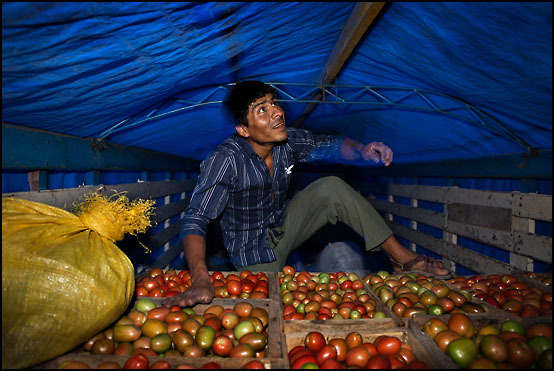 Although the way of farming seems antiquated compared to modern agriculture, the low ecological impact, the close relationship to nature and even a grounded peace of mind that seems too often gone in the modern world, makes the rural farmers emerge as both content and confident in their lives. If you want to see more pictures of Anita and the other participants taken during the workshop, the book with all the participants’ pictures, Bolivia 2013, is available on Blurb. You can buy the book or you can just browse through the preview. 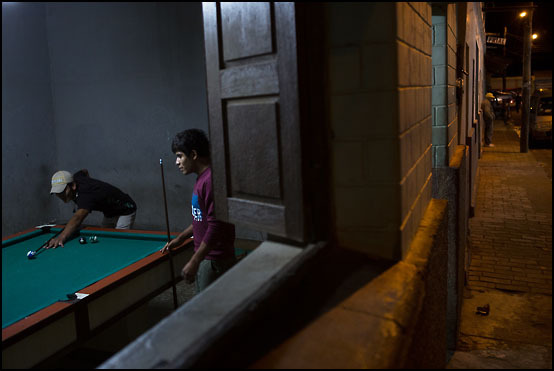 Jens Panduro was one of the participants of the Bolivian photo workshop «On the Tracks of Che Guevara» who worked on a very specific and tangible project. 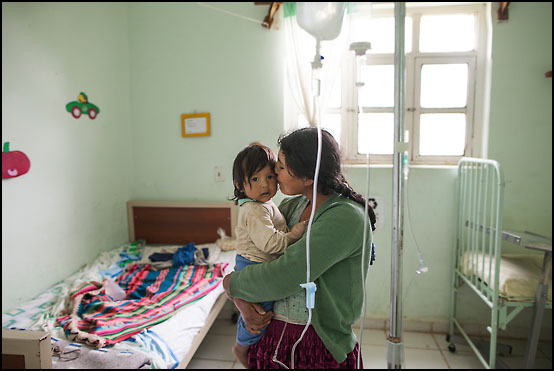 During the eight days’ workshop in April he was photographing the health care system in the rural area of Eastern Bolivia. 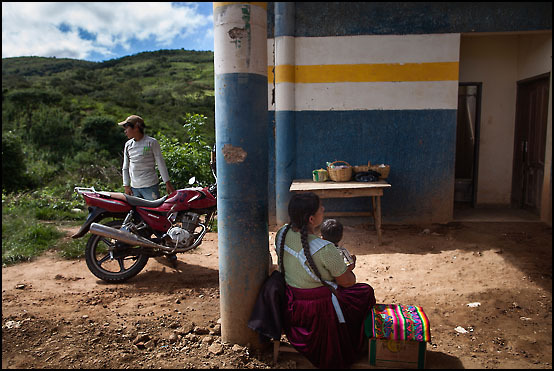 He captured the modest facilities as well as the users of Bolivian health care system. 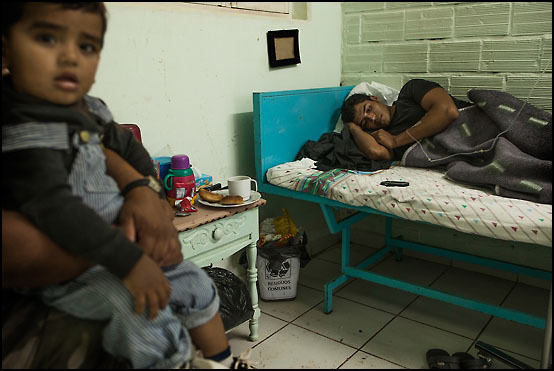 The end result was a touching and honest visualization of how it is to be hospitalized in the small clinics particularly in the small colonial town of Vallegrande, the capital of the province with the same name. 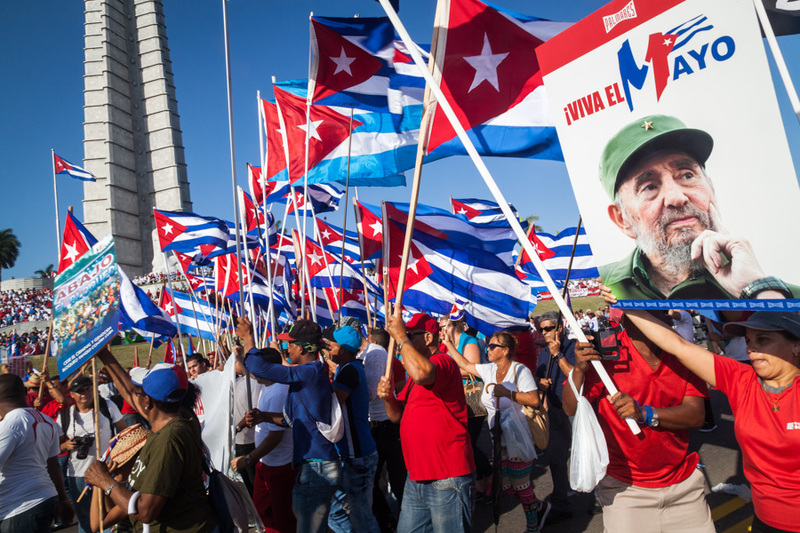 The hospital, Nuestra Señora de Malta, is by the way, where the body of Che Guevara was taken to after he was killed in La Higuera, then cleaned and presented to the international press. You can find more of Jens’ pictures (as well as by the other participants of the workshop) in the book with photos from the workshop published on Blurb: Bolivia 2013. The whole book is possible to preview. 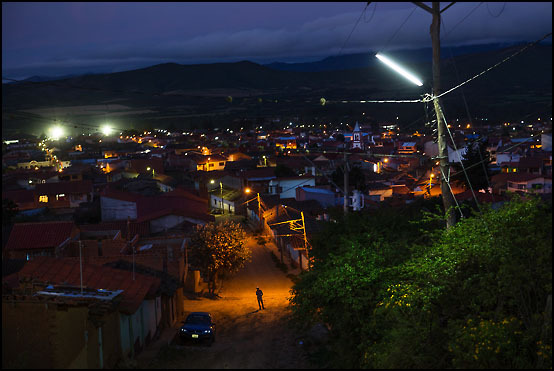 During the Bolivia photo workshop in April Lars Bertelsen worked on a very coherent photo project. 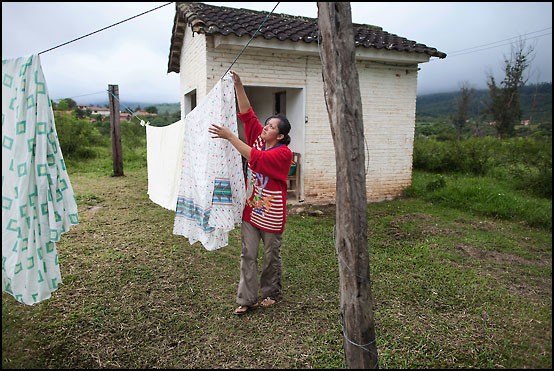 It was initiated by the fact that his children are adopted from Bolivia, and through his project he wanted to document the living conditions of children in the country. 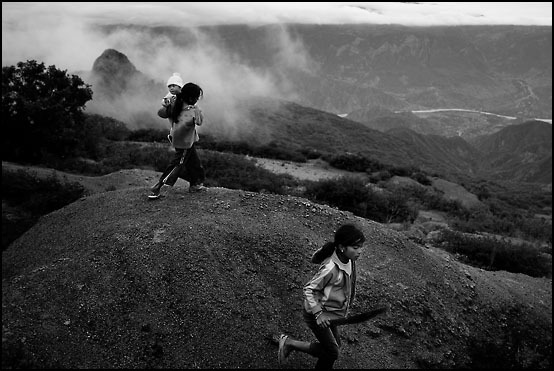 His amazing black and white photos are both an inner travel about his own relationship to children of Bolivia as well as a literal look at how children live in this Latin-American country. 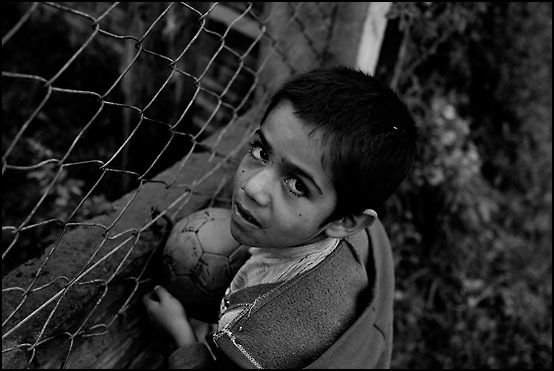 The photographs capture the kids in play, in contemplation and in relationships with each other and adults around them. 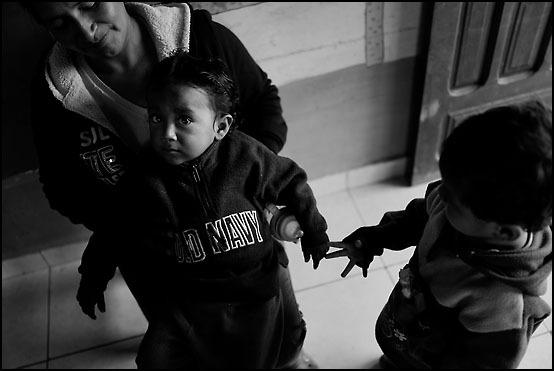 Their deep and dark tones suggest an emotional bias to his subject, an emotional attachment that shows both love and worry for the children he photographed. Lars’ photos come across with a clear vision and a very personal expression. You can find more of his pictures (as well as by the other participants of the workshop) in the book with photos from the workshop published on Blurb: Bolivia 2013. The whole book is possible to preview. 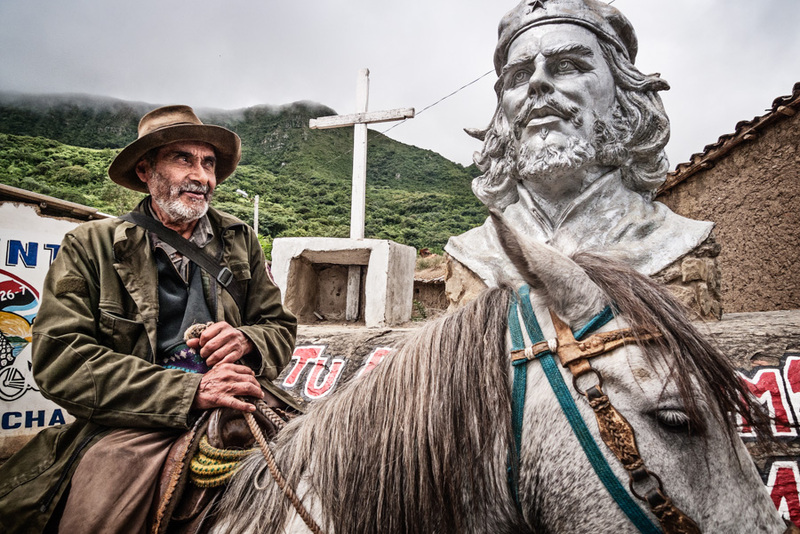 If you are interested in joining Blue Hour Photo Workshop’s next tour to Bolivia, you will find more information here: On the Track of Che Guevara. It will take place from October 7th to 14th.